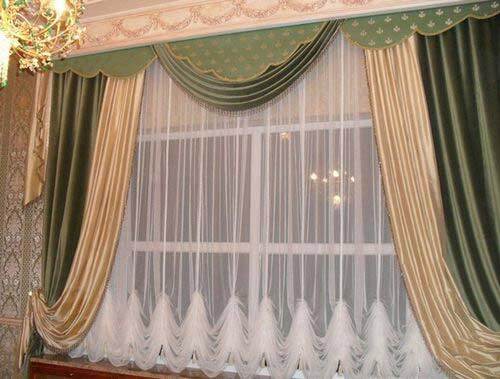 The most common classic version of the design of curtains - a combination of two fabrics from different materials: a freely hanging curtain, thin and transparent, which usually covers the whole window, and drapes of dense and heavy fabric frame and decorate the window on the sides. The classic curtains design style is usually used in the design of living rooms, bedrooms, children's rooms, offices. 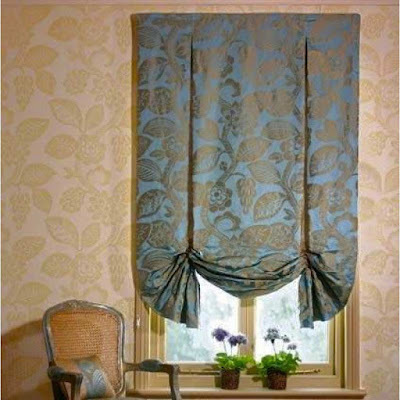 Classic curtains designs are the most popular and common way of decorating window apertures, although they have been used for several centuries. Despite the fact that the style was formed a very long time, the classic does not go out of style and organically looks in today's interiors, which use most modern fabrics and colors. If you want to create a quiet and comfortable interior design, filled with the atmosphere of warmth and comfort, then you can not do without classical curtains style. 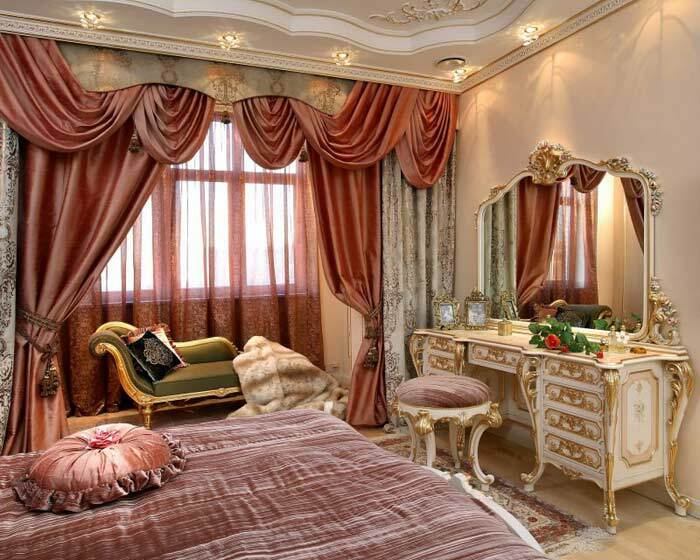 In addition, with the help of classics, you can decorate and luxurious living room, and a charming bedroom, and a cozy dining room, and a respectable office. 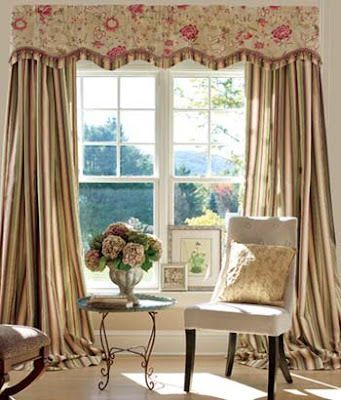 Curtains on hinges - are suspended on the decorative cornice with the help of loops from the main or finishing fabric. Curtains with a lambrequin. 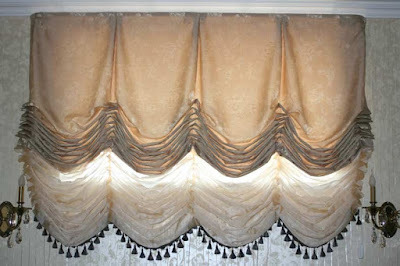 Lambrequin is short curtains in the form of frills that are placed in front of the main curtains, hiding its upper part. 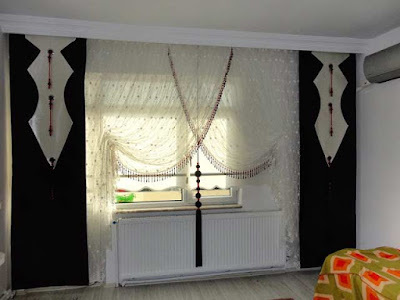 Curtains on the eyelets - curtains with metal or plastic rings, mounted directly on the edge in the upper part of the curtains, into which the curtain is then passed. 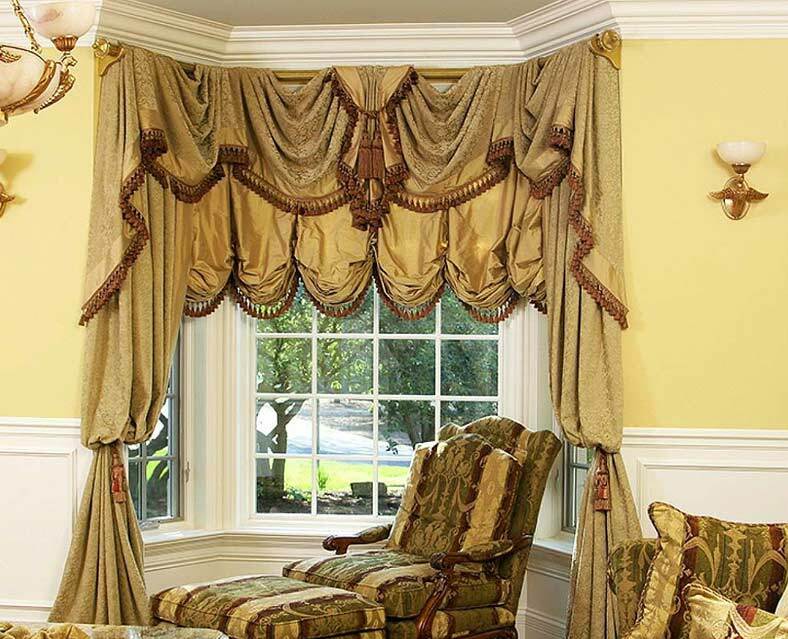 Thanks to the eyelets, the curtain hangs with soft, expressive folds, and looks modern and original. Austrian curtains design style are a fabric gathered in horizontal folds. This is done with the help of cords passing from the inside of the material through the rows of loops or sewn rings. 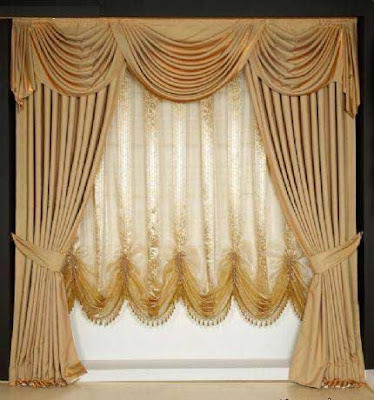 The dropped curtains hang straight, keeping only a few soft folds (buffers) along the bottom edge. The Austrian curtains are especially impressive, made of fabrics with shiny surfaces: silk, cambric, taffeta, polyester, but often made of light transparent veils, which gives the interior a unique airiness. 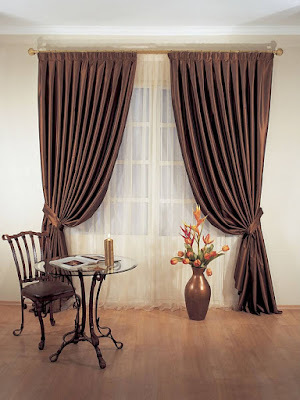 Most often, Austrian curtains style can be seen in the living room, hall or bedroom. But some bold housewives decorate even kitchens and bathrooms. French curtains style is a variety of curtains with a lifting structure - French curtains, which, unlike the Austrian, are always "attached" along the entire length of the canvas - both in the raised and lowered position. Fabric folds form narrow vertical festoons along the entire length of the curtain. 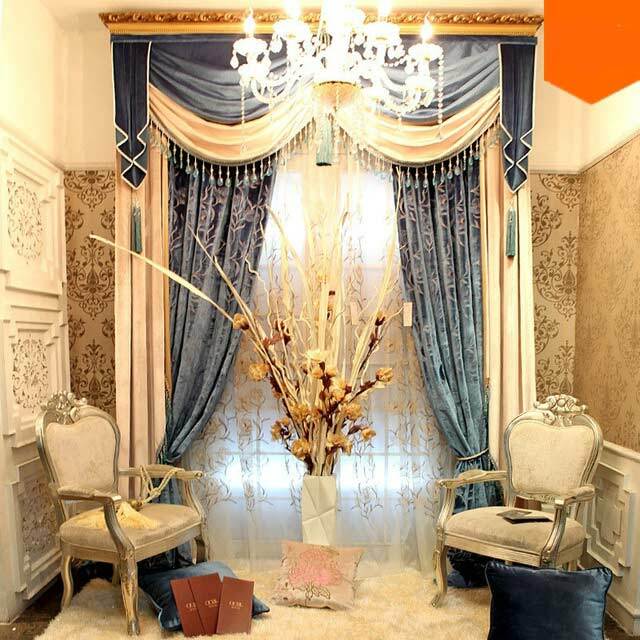 French curtains style designs are made of cambric, silk with a smooth texture or woven with a camel pattern, other materials of pastel colors. The main requirement for the fabric is elasticity so that the drapery lays down with soft, smooth folds. 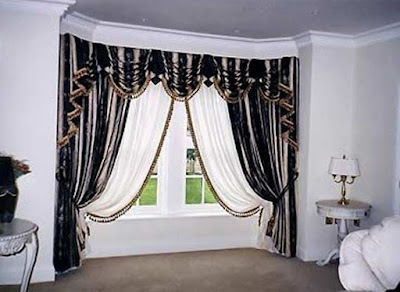 French style curtains designs look always luxurious, rich. They consist of several sections, which form smooth smooth folds. 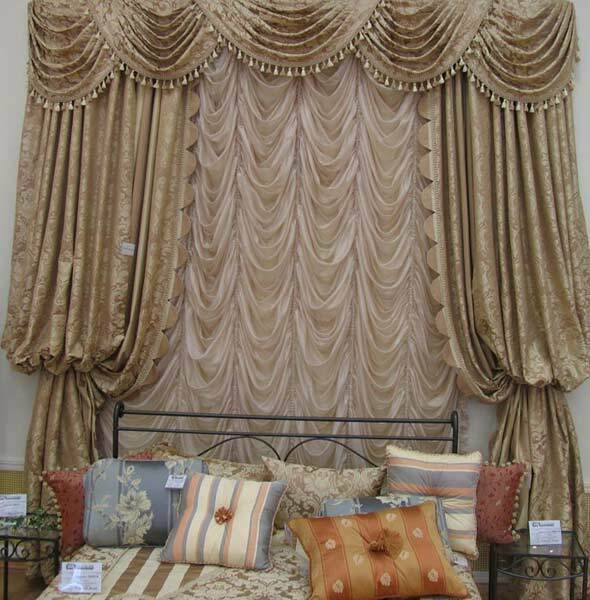 It is important that under such curtains the interior of the room is appropriate. 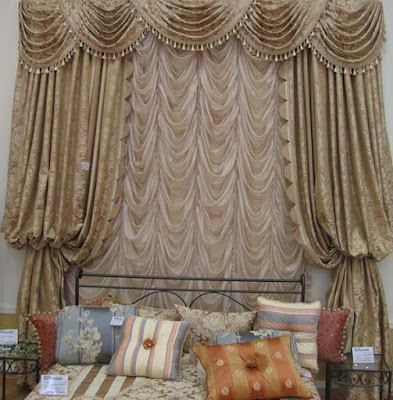 French curtain designs are an elegant window decoration, being at the same time an element of the classical style. 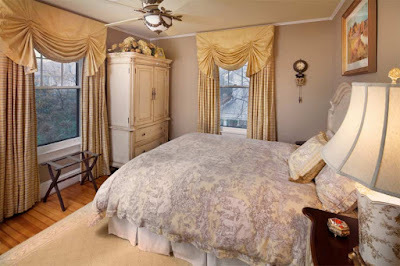 For arched windows, They are just an ideal option. 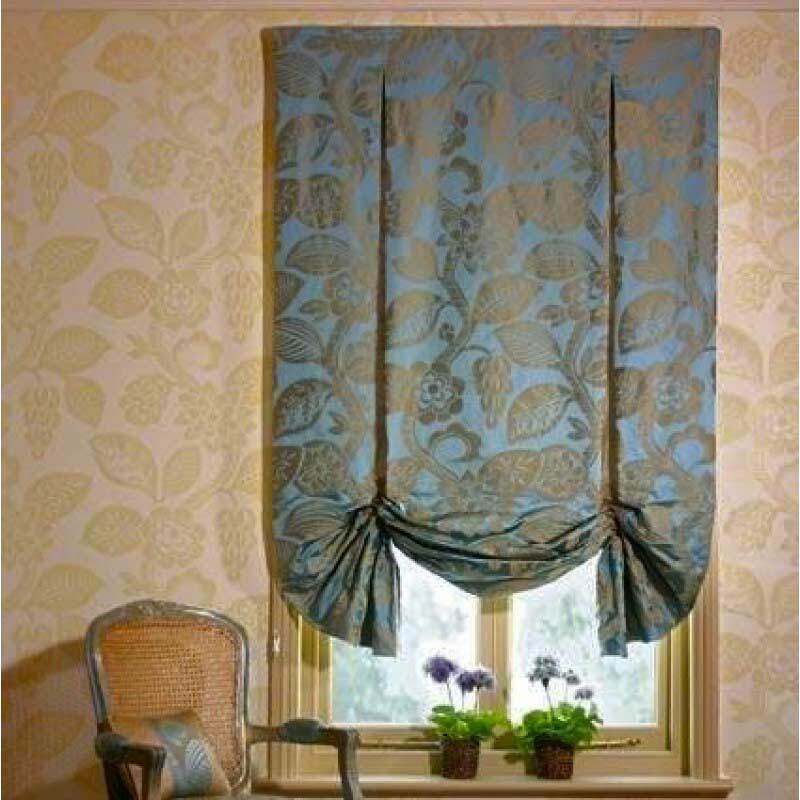 The main distinguishing feature of French curtains is a huge amount of frills, folds, and ruches, in which fabric is collected. 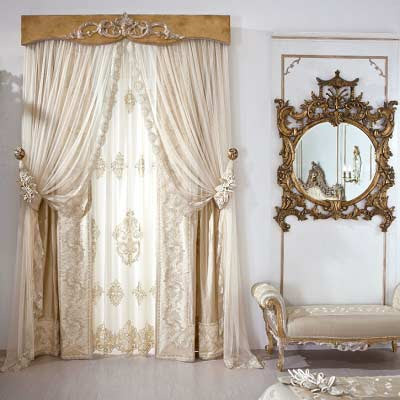 It is the irreproachability of folds that creates an exquisite, impressive and elegant atmosphere in the interior. If before they were made exclusively of silk, today, tulle and polyester are used, which is a soft, elastic and practical material. 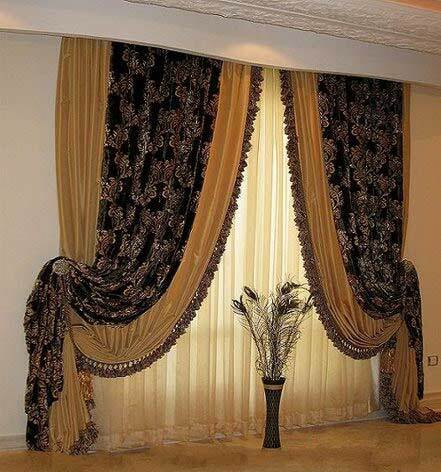 Such curtains are easy to wash, they do not burn out in the sun and are well draped. 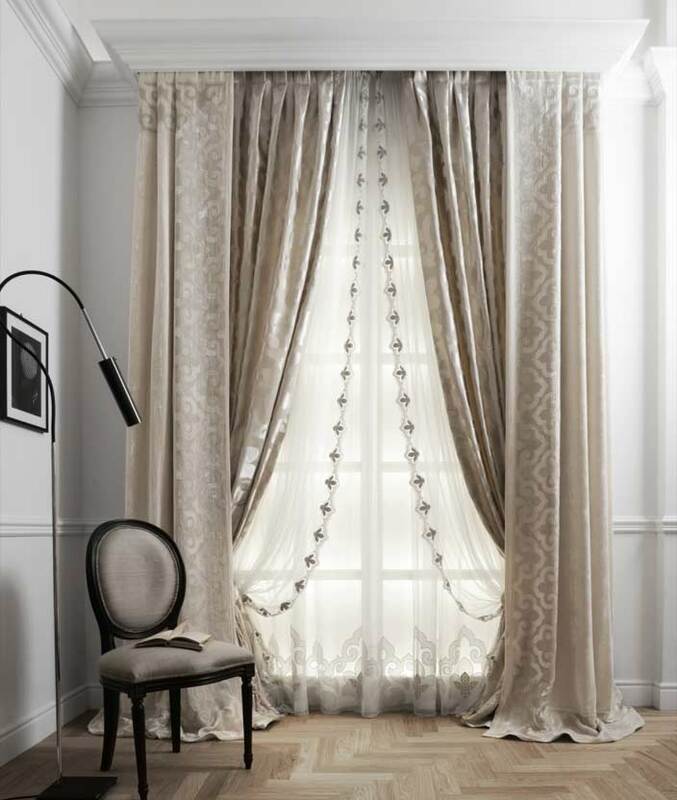 Due to its attractiveness, French style curtains will look equally flawless in the living room and bedroom, as well as in the office and dining room. Italian Curtains styles are characterized by the fact that they do not fully move apart, but are elegantly pulled together by cords that go diagonally to the ends of the cornice. Cords are passed through the rings fixed on the underside. 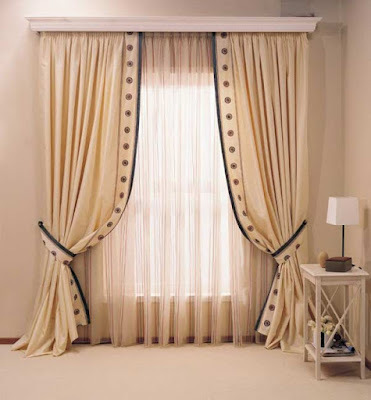 For Italian curtains, a standard cornice with a rail can be used. 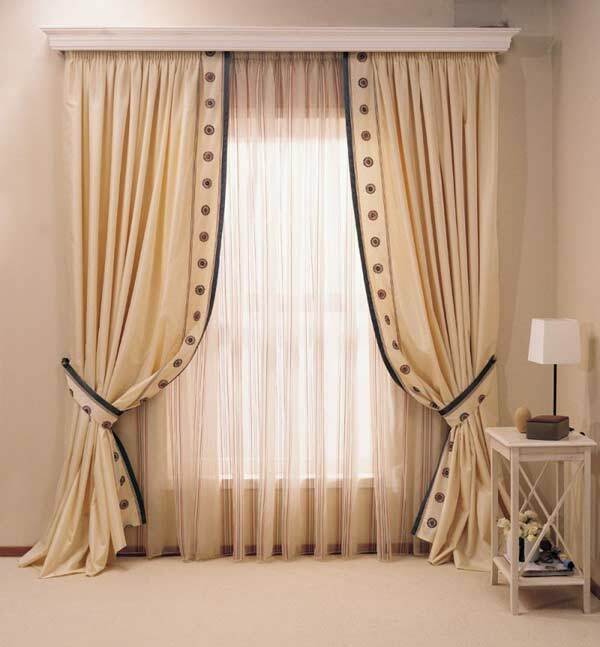 Italian curtains designs are ideal for decorating tall windows in bedrooms. 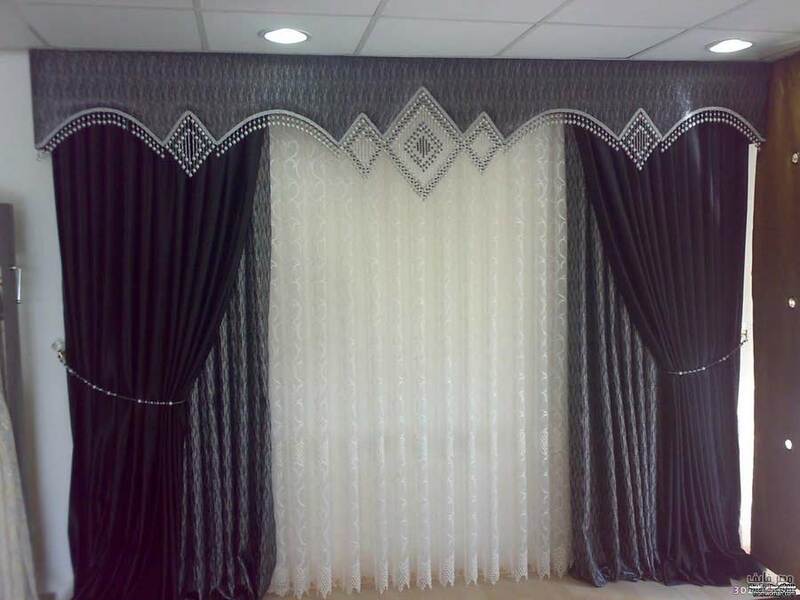 Japanese style curtains. 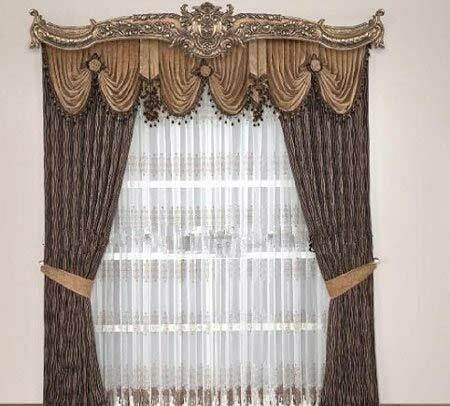 Despite the fact that the emergence of Japanese or as they are called panel curtains, Japanese owe this curtain style, but today they are very popular both in Asia and America and in Europe. Beautiful and at the same time practical screen panels not only fit perfectly into any interior but also help make it original and exquisite. 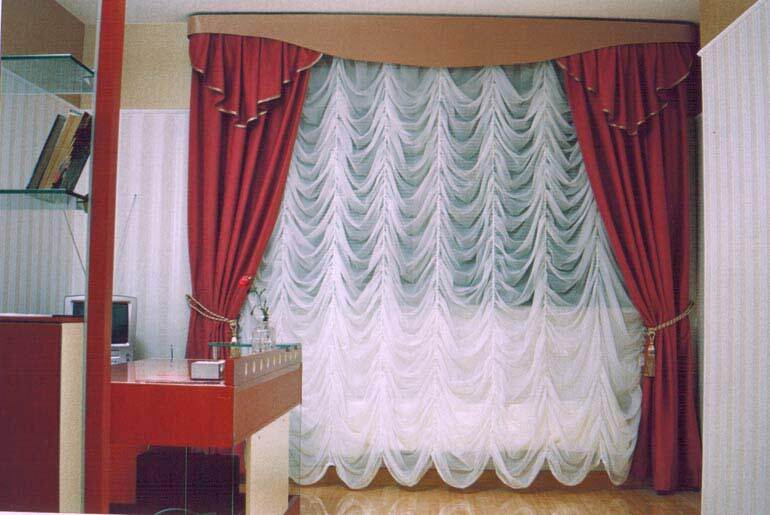 In addition, with the help of panel curtains, tasks related to zoning and space separation are easily solved. Japanese style curtains designs look like perfectly even and solid panels, which are equipped with top and bottom rigid inserts. With the help of these inserts, the panels can smoothly move along the cornice without folding and remaining perfectly even. Panels are controlled by a special mechanism and can move freely, and can also be extended either to the center or on one side. Japanese curtains are made of special lightweight fabric, usually transparent or translucent. 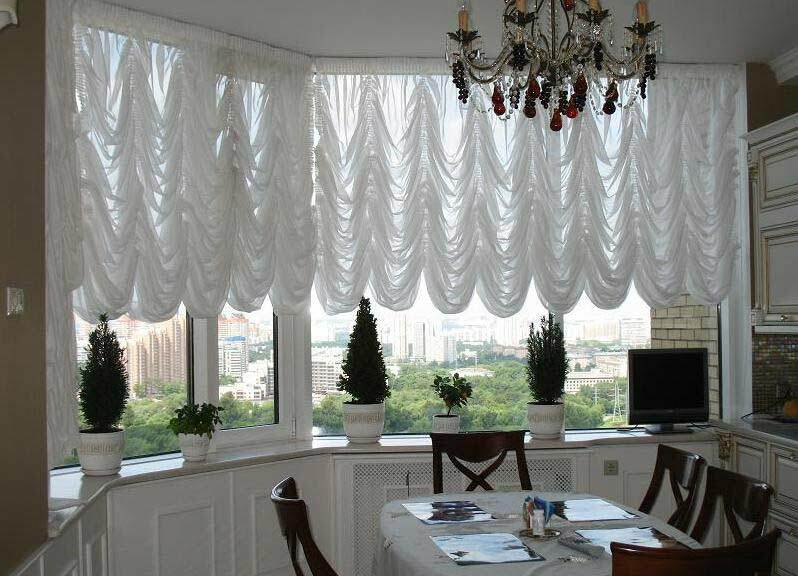 Roller blinds one of the flat curtains types, winding on a special roller, which is located in the upper part of the window. Roller blinds can be hung on both PVC windows and any other. 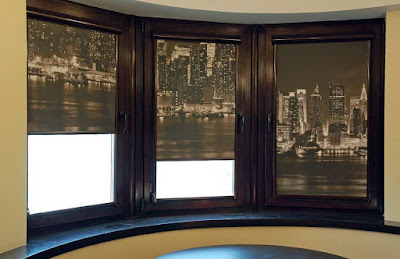 Modern roller blinds are very convenient and practical to use. 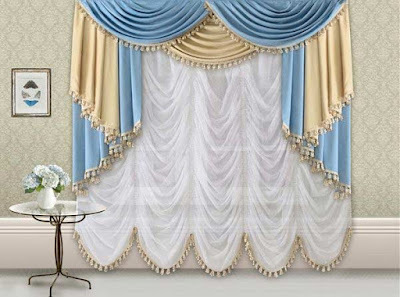 If the curtains are completely open, they are practically not visible, when they are closed, they look like a smooth screen. Thanks to the simple principle of work, as well as a wide variety of both colors and patterns, Roller blinds can be used for the interior design of various rooms - living room, bedroom, children's room, kitchen, bathroom. London curtains belong to the class of cascading curtains: a soft cloth in the raised position is held by ribbons, forming a garland. The main difference between them and their fellow classmates is the traditional English pattern: from a Scottish cage and a longitudinal strip to a printed chintz in a small flower and chic bouquets of roses. They are fixed permanently on the cornice and are more decorative than practical. 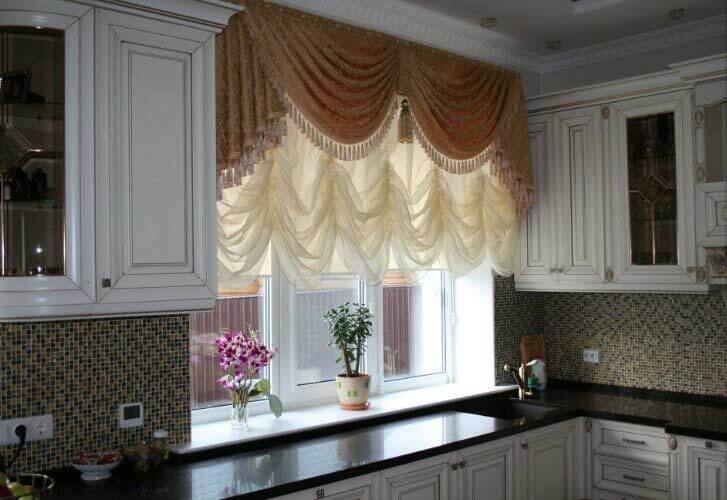 With crossed curtains designs it is customary to decorate windows in the kitchen, in the bathroom or in the nursery. The fabric should be very light, translucent or transparent. This is necessary to ensure access to light even through closed curtains, and to create light streaming wrinkles. Crossed curtains are most often used for decorating windows in bedrooms and living rooms. They create a pleasant twilight, smooth out too bright light, contribute to relaxation and rest. 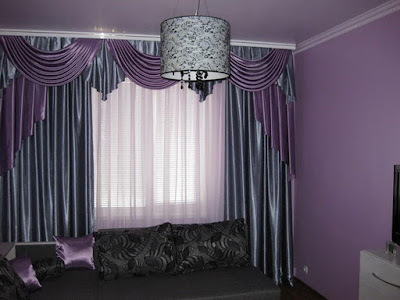 The color of the crossed curtains designs is usually soft, pastel shades are most often used. 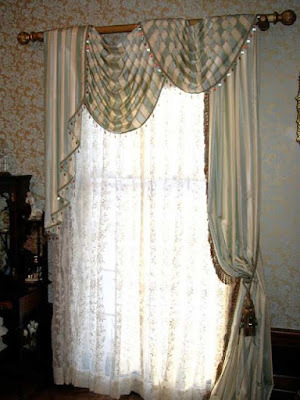 A variant of asymmetric window design is possible - one curtain is longer than the second one, which allows leaving an open part of the window for better penetration of daylight. Designers say that when selecting the curtains style and design, little things you shouldn't forget. In this case, every detail matters - the size of the window, its location, the height of the room and the interior decoration. 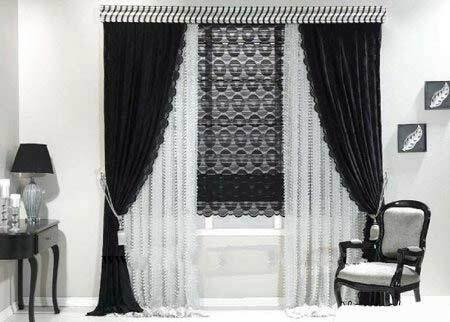 It is necessary to take into account the fact that fabrics with a contrast pattern from the cross strips will make the walls visually wider, and vertical stripes will give the room a visual height. 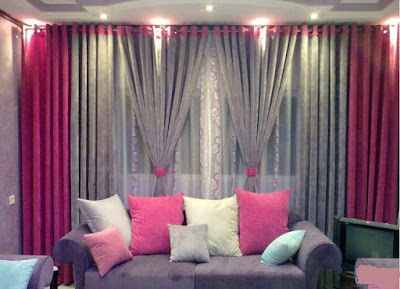 Cold shades such as gray, purple and blue fill the room with coolness, and colors such as red, beige, terracotta create a feeling of warmth and comfort even in the coldest winter. 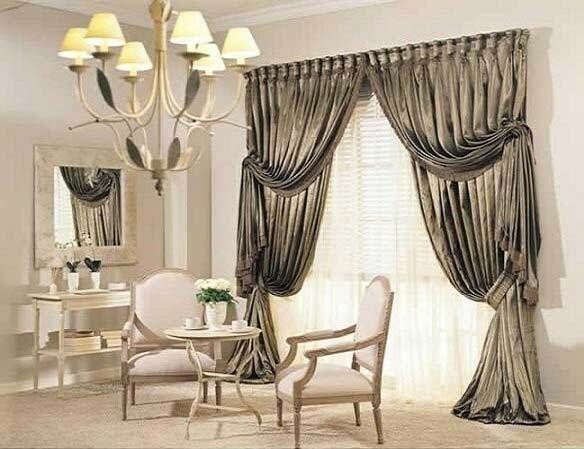 Unforgettable impressions are produced by bright curtains, but they quickly start to bore and irritate, so do not hang them in a room where you spend a lot of time. Long curtains designs with assemblies will perfectly fit into the interior of a room with a high ceiling. 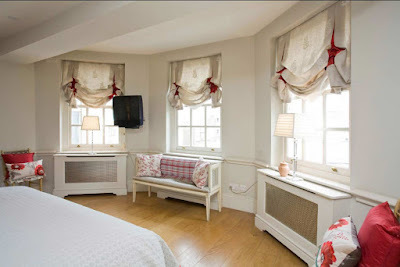 But if the ceiling in your apartment is low enough, it is better to abandon the fabric elements that close the cornice. 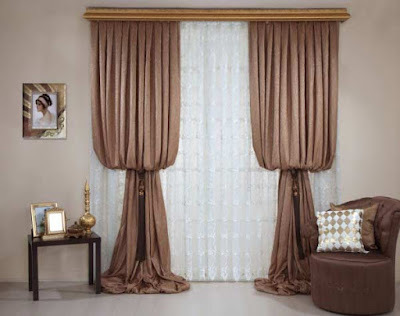 Curtains designs must be on a couple of tones to be darker or lighter than the tone of the walls, otherwise they will simply get lost in the interior. 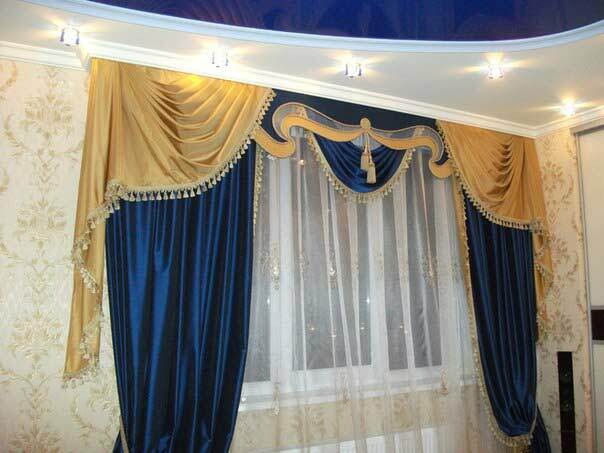 It is best that the curtains color be combined with the color of the upholstery of furniture or with the color of the wallpaper. 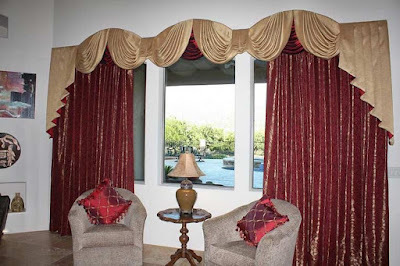 Now more and more designers use fabrics for the curtains the same which covers the furniture in the room, as well as covers and pillows. It looks very impressive. 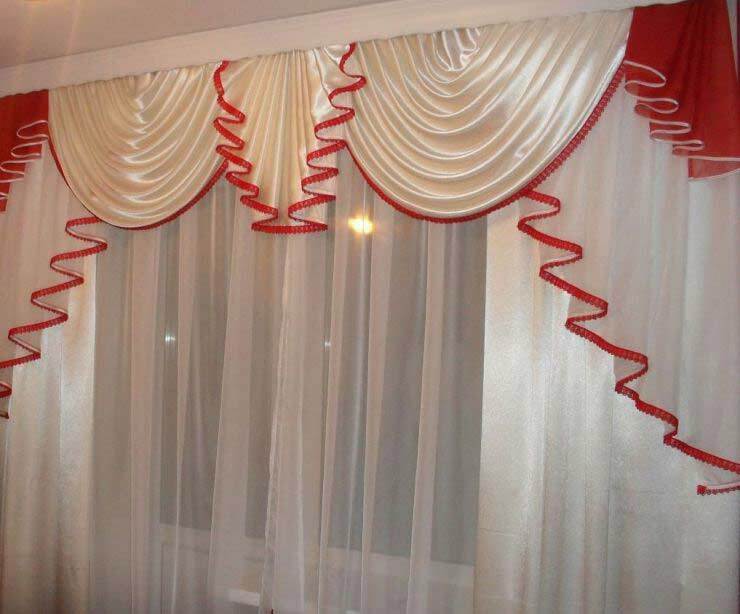 Many people have found an alternative to classic style curtains, it's blinding. 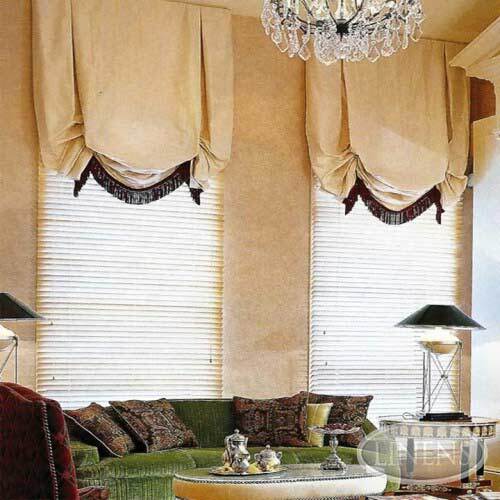 Every year, the decoration of windows with blinds becomes more popular. It is easier and cheaper to care for them than classic curtains designs. More aesthetic on the windows of housing will, of course, look like vertical blinds than horizontal ones. But in order that they are proportionally looked in the room, you need to correctly choose them along the width of the window. 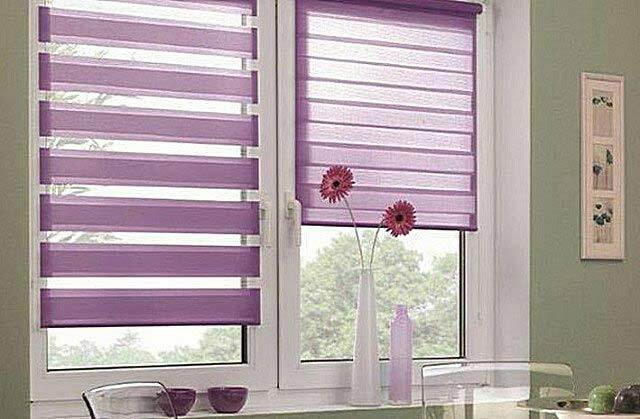 Vertical blinds also easily move and fully open the window. 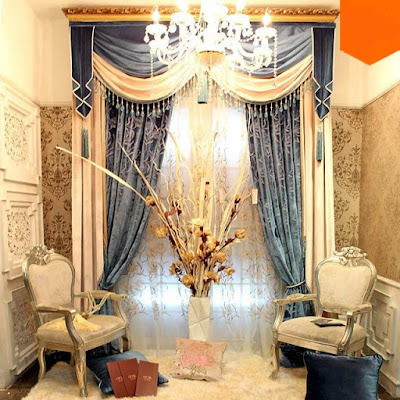 This kind of decoration of the room is more suitable for a spacious, bright, with a small amount of furniture room. Then the room will seem more neat and spacious. 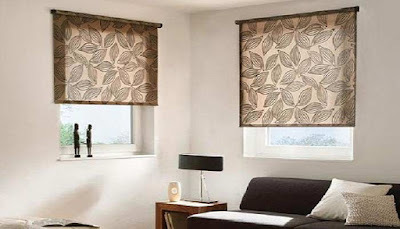 Horizontal blinds are best used for office space, as they fit most in the business interior. Also, the use of this type of blinds is the most effective way to protect yourself from the sun in the room. 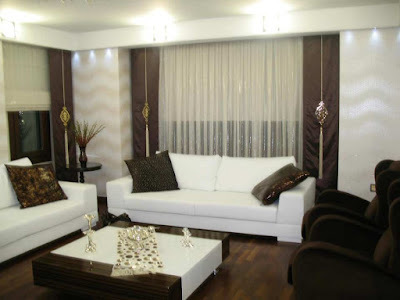 In general, in the modern world of interior design, the design of the room due to the windows plays a very large role. And how to do it: with the help of curtains or blinds. 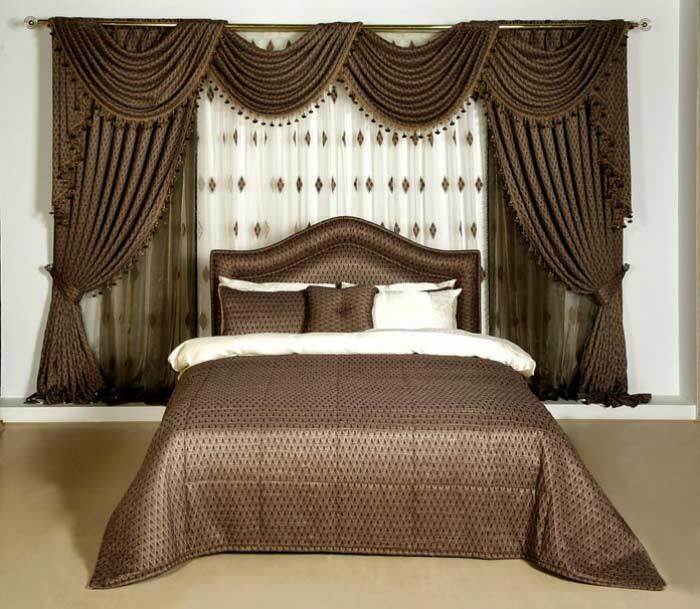 The main thing is not to do anything superfluous and then any room will look like it was originally intended.